It's been a while since we heard anything about Hazelight, the Stockholm-based studio led by Brothers: A Tale of Two Sons' director Josef Fares. The team broke cover at The Game Awards in 2014, a brief teaser trailer in tow that showed two men travelling on a train by moonlight. Today, at EA's E3 press conference, the project has been reintroduced as A Way Out. It's about two inmates who forge an unlikely alliance to bust out of prison. The game is splitscreen-only (local and online multiplayer will be supported), meaning you'll need a friend in order to break out and escape the law. Brothers: A Tale of Two Sons won plenty of praise in 2013 for its unique control scheme and puzzle design, which required players to control each sibling with a different analog stick. 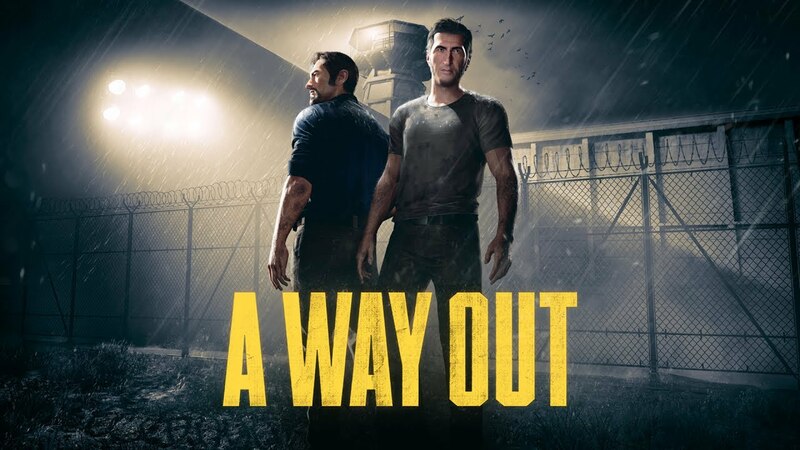 A Way Out is clearly the continuation of that idea, forcing two distinct characters to work together and, as a result, slowly forge a close bond. Because it's splitscreen-only, there's no way to play it on your own, or using a conventional drop-in, drop-out matchmaking system. The puzzles require two people, so you'll need someone, whether that's a friend or a stranger, to be with you at all times. Fares is promising a "ton of variation" in the moment-to-moment gameplay. Head-scratching puzzles will be broken up with driving, exploration and tense combat sequences. Think of it like Uncharted 4, but if your buddy could fight alongside you as Sam, Elena or Sully. Missions will also have multiple solutions, rather like a Hitman or Deus Ex title. To sneak out of the laundry room, you might start a fight with Leo, or claim a machine isn't working with Vincent -- it's entirely up to you. If nothing else, it's a unique and ambitious idea. We'll find out if it delivers in "early 2018," when the game releases on PC, PlayStation 4 and Xbox One.